TeachPE.com draws on the expertise and experience of many talented people in specific areas. We source our information from a wide range of books, journals, educational textbooks but most of all from the knowledge and experience of our sport and physical education team. Advertising specifically googles Adsense & Amazon Associate marketing is our only source of revenue. Mike has a degree in Physical Education, Sports Science & Physics from Loughborough University, a Post Graduate Certificate in Education (Science) from the University of East Anglia with Qualified Teacher Status. 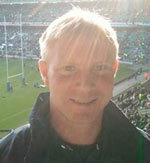 He is a qualified and experienced Sports Injury Therapist. In his younger days, he competed at National level in the Decathlon, has undergone military training with the British Army and hs coached youth football (soccer), rugby and athletics. Mike is also creator and CEO of Sportsinjuryclinic.net. Robert Walden is the original creator of TeachPE.com. His experience is underpinned by 24 years in education has held posts as a PE teacher, Head of PE, Assistant Headteacher, Partnership Manager, Marketer, and Business Director. Over the years he has been involved with some very special projects, supporting and influencing Physical Education within the UK, China, Iraq, and Rwanda. Mr. Stoltz teaches Physical Education at Wymondham High Academy in Norfolk and is a keen coach and player of both Cricket and Rugby. John Shepherd is a former international long jumper and now coaches elite athletes. John is also a specialist sports and fitness writer. His books include Strength Training for Running & The Complete Guide to Sports Training. Over the years Tim and Pauline have produced numerous English Schools champions, full English Internationals and GB Internationals on the track and cross-country. Ian has been playing badminton for 25 years and has represented Norfolk for 23 of those (junior and senior). He is the highest nationally ranked Norfolk man since 1997 and has ranked 22nd in the UK in singles; 17th in mixed doubles and 18th in pairs. Ian is the founder of Sweetspot Badminton Coaching. Ritchie has spent the last 5 years coaching at Chester City's Centre of Excellence also providing the Education Programme for the Youth Team Scholars. At the age of 26, Fay was the first Level 3 Coach in Norfolk. She coaches the County Academy and the Regional Academy Squad - coaching players to reach England standard. Marc is a fully licensed LTA level 3 Performance Coach, and he works with County, Regional and National standard juniors aged between 9 and 17-year olds. Daniel Spencer has been involved in all aspects of television since the year 2000, in which time he has achieved credits with the BBC; ITV; Sky1; Channel 4 and Channel 5. He has a wide range of experience in anything media related having worked on documentaries through to current affairs through to social history programmes through to music videos. Daniel is Strategic Director for the video production company, Curveball Media.